Frank Walker is the best attorney. He is professional and helped me get through a tough time when I was going through some legal troubles. He eased my mind..and he was ALWAYS available. He even emailed me back right away on a Sunday night. Thank you Frank for helping me ease my concerns. He helped me get house arrest , in which I was removed off of it within 8 months. I avoided jail time, and I am so thankful for his service and help with my case. THANK YOU FRANK!!!!!!!! 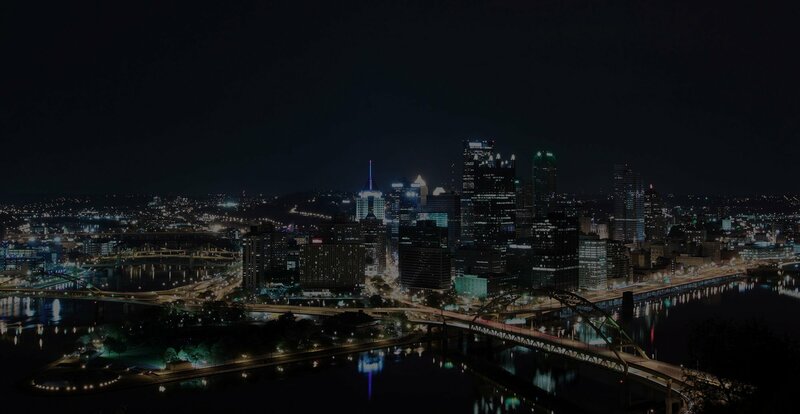 Frank is one of the best defense attorney's in Pittsburgh. Frank has helped my family on several criminal cases and I cannot say enough good things about Frank. He cares not only about his clients but their families as well. Frank has the best rates in the city, and( this is so unusual for an attorney ) he calls you back no matter what time of the day or night it is. Frank has become a friend and I can truly say he is a good person and I'm glad I have gotten to know him. If you ever need counsel call Frank he gets the job done! Dear Mr. Walker, I spoke with you last week on the phone concerning my son. To refresh your memory he had [another] attorney. He lied to him to and told him that he made a verbal agreement with the DA to get him an early release from jail among other things. I hope you remember speaking with me. I just wanted to personally THANK YOU for all the advice you game me and most of all for being so honest with me. We have certainly paid the price for choosing the wrong attorney in the first place. Having never faced anything like this we did not know what to expect or if we were being told the truth. In today’s society there are so many people that are just out to make a dollar and they don’t care who they hurt in the process. I commend you for your integrity and honesty. Again I thank you and hope you enjoy having lunch on me. I appreciate everything and pray God blesses you richly. With gratitude. If you ever need a skilled attorney - call Frank Walker! Dear Judge M., I am writing to express my sincere appreciation for your appointment of Frank Walker to be my attorney in a case that finally came before you on July 5th after almost three years. As you might recall, there had been three other attorneys on my case, all of whom withdrew because of conflicts of interest. The purpose of my letter is not to comment on the work of the first three attorneys but rather on the work of Mr. Frank Walker. Unlike some of my previous experiences with those who attempted to handle my case, I found working with Mr. Walker to be a very pleasant and encouraging experience. First, he was thoroughly prepared by taking time to explore the appropriate case law and legal issues involved and by actually taking the time to listen to his client’s version of events. Second, he was accessible. There was never a period of time greater than 12 hours when he failed to respond to an e-mail of telephone call. Third, he was available. We met on several occasions, some of which were even on the weekends. That availability I found to be extremely valuable as the trial date approached. Fourth, he was aggressive in preparing a vigorous defense on my behalf. His efforts made the efforts of other attorneys on this case look little better than the efforts of an overweight dog sleeping in the hot sun! Fifth, he was unafraid. While it seemed to me along the line that others were afraid of offending the Pittsburgh police, this was in no way the case with Mr. Walker. Sixth, he was pragmatic and strategic in his efforts to separate chaff from wheat and in his efforts to determine an appropriate legal course of action. In short, it seems to me that Frank Walker epitomizes what one would hope for in his or her defense attorney, as well as the kind of attorney every Law School should aspire to produce. While it is not my place to say, based upon my personal experience the court should have no hesitation in appointing Mr. Walker to handle any case of any kind in the future. In my opinion, he did excellent and outstanding work on my behalf. Finally, because my case had a number of delays, I had the opportunity to be in your courtroom on many occasions. I want to express my sincere appreciate to your staff for their courteousness, professionalism, and extraordinary ability to put up with dumb questions from people like me and, I imagine, countless other defendants. What difficult and important work they do! I would like to thank Mr. Walker and his firm for all the hard work they have done to settle this delicate matter for me and continue to strive to get the rest of the case expunged in a timely manner. I appreciate the time and consideration throughout this difficult process. Frank made me feel very comfortable throughout the last few months and I will thank him years to come. Thank you again! Jul 21, 2015 K. H.
Frank Walker Law is a great defense attorney. No matter what you have been charged with, Frank Walker will work for you to insure you get the best outcome possible. He helped me in a very difficult situation, I'm sure he'll do the same for you. Okay so back in Jan. of 2014 I had got indicted for 5 felony charges in the federal court. My charges were for conspiracy to possess a schedule 1, possession of a schedule 1, drug trafficking across state lines, conspiracy to drug traffic, and importation into the United States for 19 kilos of methylone (a synthetic MDMA). With the help of Frank that got dropped to only conspiracy to possess with intent to distribute, and instead of the 19 kilo I only got hit with 3 kilos. Through out the entire process I had asked him a million and one questions and he remained patient with me through it all. During sentencing he also told me to inform the judge that I was a heavy user of marijuana which ultimately got me into the drug program while I was in. I was sentenced to 35 months and thanks to Franks advice about admitting to using and failing a few drug test I got out in 15.5 months. So in thanks to what he has done for me I figured I would write this for him, and to know this isn't just some bs my federal registration number is 49705039. Attorney Walker is definitely a skilled attorney that not only thinks of his client but of his clients family as well and makes sure that everyone involved in the case is aware with what is going on and understands everything as well. Not someone that is out to make just a quick dollar or to pick up a case, he is in it to get the job done and get the best outcome that he possibly can for his client. I would highly recommend him to anyone if you are looking for a dependable lawyer that is for their client.